One of the frustrating things about running an op-ed blog instead of a news blog is, you occasionally have to set aside what you’re most excited to talk about in favor of the thing that’s most fully developed. In this case, I’m writing these words within hours of the announcement of the first standalone Star Wars film, Rogue One, but it’s way too soon to have anything worthwhile and intelligible to say about what’s basically just a title at this point. If you’d like to see me talk about why this appears to be great news, you can head here to see me make the case for a Red Squadron novel about a year ago, or stay tuned to Tosche Station Radio, where I’ll be a guest next week for just that reason. Moving on—the other weird thing about this piece is that I couldn’t quite decide whether to bill it as an Expanded Universe Explains or an Escape Pod, for reasons that will become clear shortly. For starters, though, let’s talk about Taanab. Originally referred to, of course, in Return of the Jedi, the “Battle of Taanab” was a conflict that for some reason involved civilian (and scoundrel) Lando Calrissian back before he got mixed up with the Rebellion. When he was awarded the rank of General despite seemingly no military experience, he speculated that Alliance leadership must have heard about his “little maneuver” at Taanab. » Read more..
As I’ve previously noted, I pretty much checked out of Episode VII rumors—ah, I’m sorry, make that The Force Awakens rumors—a month or two ago. Before that, the rumors were coming so fast and wild that I was happy to glance through them without taking anything so seriously as to feel like I’d been spoiled. But one thing seemed to come up pretty consistently (spoiler alert, I guess): at the start of the film, Luke is out of the picture. Maybe kidnapped, maybe in exile. Maybe for ten years, maybe for thirty. Indeed, it’s possible we have a clearer picture of this situation now than the last time I looked, but one possibility that was being entertained was that Luke was off either on a Force pilgrimage of his own or training new Jedi recruits. Another consistent rumor was that there isn’t really an active New Jedi Order when we start off, and to my mind Luke having gone off the radar to start an academy feels nicely in line with both of those scenarios. » Read more.. The coming sequel trilogy has put a lot of value on the presence of the older generation of heroes and on the impact they had. While it remains to be seen how the Rebellion/Alliance will fare in the new continuity, it’s a safe bet that a New Republic still exists even if it’s not necessarily by that name. In that new Republic the vested veterans of the Rebellion, the heroes of the original trilogy, will likely have influential positions, just as they did in the Legends stories. Leia will likely be a politician still, Han may be a military officer, and Luke a veteran Jedi Master, perhaps the head of a new Jedi Order. 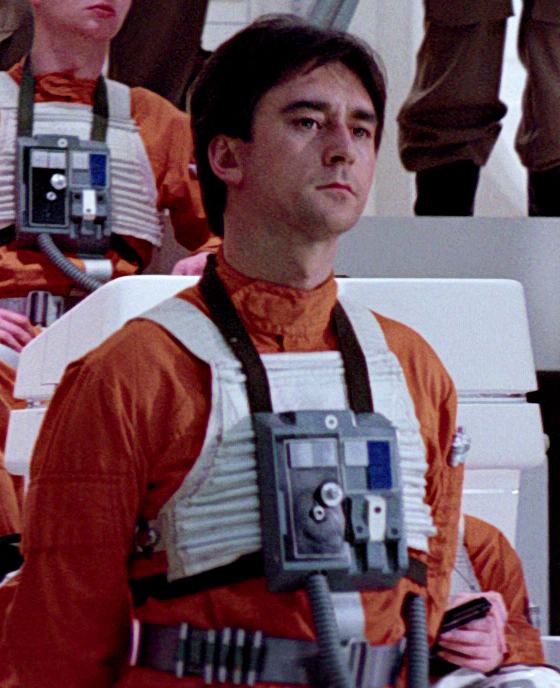 But they are not the only veterans of the war against the Empire. 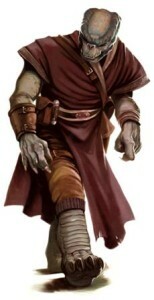 Despite the Prequel Era being off-limits during the heyday of the Expanded Universe, a few details did sneak through here and there that served to color in the pre-Republic period we would eventually see on screen, and while most of them were intentionally vague, for every outright error, there was a lucky guess. One of the best examples of this comes in the form of Winter, a character introduced alongside Thrawn and Mara all the way back in Heir to the Empire. Winter was a close childhood friend of Princess Leia’s while growing up on Alderaan, who had also functioned as her attendant and decoy during state (and Rebellion) business. In the parlance of the prequels? She was Leia’s handmaiden. 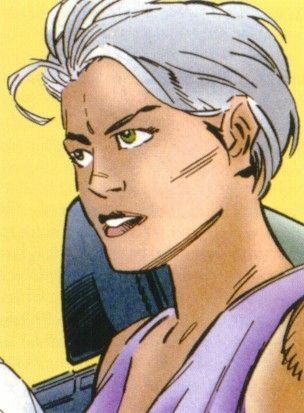 In addition to her convenient physical resemblance to Leia (though her natural hair color was a stark white), Winter had a photographic memory, which led to her also becoming a highly effective, and notorious, intelligence agent for the Rebellion under the code name Targeter. Many an Imperial upper-cruster would recall sharing a delightful conversation with the beautiful young Alderaanian princess at a gala or banquet or what have you, when in reality they were being picked clean of intelligence and added to the flawless holocron that was Winter’s mind—all while the real Leia was likely off getting into trouble herself somewhere else. In fact, it’s reasonable to assume that Winter’s role as “backup Leia” played no small part in the princess’ status as a Rebel agent staying under wraps for as long as it did. » Read more..
How will we fill the roles of assassins and hit men in the new Star Wars movies? Mandalorians, Imperial Intelligence agents, and other unsavory elements have their place, but perhaps we might try something entirely different. The EU has one answer- the Noghri. Silent and stealthy, hidden thoroughly away from the rest of the galaxy, and astoundingly effective, they remain a mystery throughout much of their first appearance and bring a fascinating backstory. 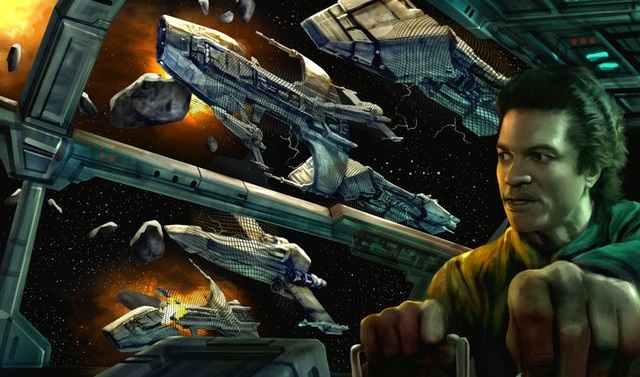 The Noghri are an excellent plot hook to tie together old and new Star Wars, bringing back the shadow of the Empire in a galaxy recovering from war. We first meet the Noghri when one of them, guarding Grand Admiral Thrawn, scares Pellaeon from the shadows. They are silent, stealthy assassins, described as looking rather unnerving and speaking in a gravelly voice. All we know of their history is that they had worked for Darth Vader and are now Thrawn’s personal bodyguards, quickly tasked with capturing Leia Organa Solo and delivering her to the Empire alive. 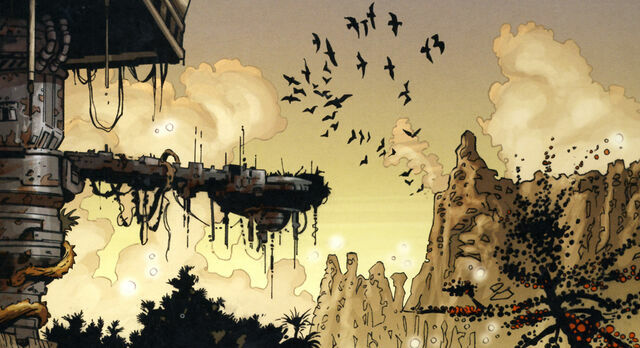 Her befriending them gives us insight into what little we know about the Clone Wars at the time of Dark Force Rising, and their devastated homeworld goes from a potential sign of Imperial benevolence to a somber reminder of the might of the Empire. The Noghri will likely never be able to clean up their poisoned homeworld, and they instead join with “Lady Vader” as her faithful bodyguards. They remain in the position throughout the rest of the EU, with various Noghri watching over Leia and Han and their children. Though they are not free from controversy- they are, after all, the former personal assassins of Darth Vader- they are endlessly useful to the Solo family. » Read more..